"The European Union in Brussels is composed of a class of bureaucrats that are extremely well paid, have tremendous benefits, and have their own self-referencing little culture. They’re exactly the same kind of people that live within the Washington, D.C. beltway. The EU was built upon a foundation of sand, doomed to failure from the very start. The idea was ill-fated because the Swedes and the Sicilians are as different from each other as the Poles and the Irish. There are linguistic, religious, and cultural differences, and big differences in the standard of living. Artificial political constructs never last. The EU is great for the 'elites' in Brussels; not so much for the average citizen .. 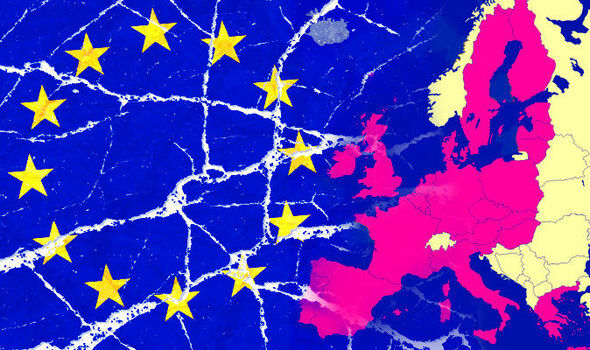 The chances are better in the future that the remaining countries in Europe are going to fall apart as opposed to being compressed together artificially .. You're going to see other countries leaving the EU. The next one might be Italy. All of the Italian banks are truly and totally bankrupt at this point. Who's going to kiss that and make it better? Is the rest of the European Union going to contribute hundreds of billions of dollars to make the average Italian depositor well again? I don't think so. There’s an excellent chance that Italy is going to get rid of the euro and leave the EU."